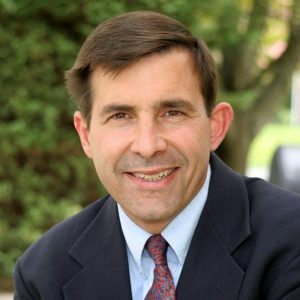 State Rep. Greg Vitali (D-Delaware) announced he is entering the race to replace retiring Congressman Pat Meehan (R-Delaware). Vitali cites climate change and President Trump’s actions concerning issues related to the issue as his main motivation. “Climate change is the single greatest long term threat to our world. I cannot sit idly by as Donald Trump and the current Congress endanger our future and make this problem worse,” Vitali said in his announcement. Vitali has been a state House member since 1992, when he became the first Democrat to win in the 166th district. He has worked on many environmental issues during his time in the state House, including introducing the first attempt to place a severance tax on natural gas extraction. The announcement comes just four days after Meehan announced he would no seek re-election after it was revealed he used his office budget to settle a sexual harassment claim against him that included him considering a staffer a “soul mate” and having a deep “affection” for her. Vitali joins a crowded Democratic field including former CIA Counter-Intelligence Officer Shelly Chauncey, Drew McGinty, an IT professional; Elizabeth Moro, a realtor; attorney Dan Muroff; and Molly Sheehan, a biomedical researcher in the race. State Sen. Daylin Leach (D-Montgomery) announced for the seat, but has taken a “step back” from his campaign after facing his own sexual harassment allegations. Probably the most disliked member of the House, by his own caucus and also the R’s. Bravo for the courage and honesty to admit what the world knows: “Climate change is the single greatest long term threat to our world.”. Now let’s see if enough voters think we need a stopgap against the Rs – many of whom still deny it even exists. Greg is a great guy with name recognition. Game changer. He talks to himself. Seriously. He talks to himself. Also. He is not a good person. He is an ahole. Greg’s been a popular state rep for years, even winning strongly when his district had a Republican majority. For his district, Greg has made a point of trying to knock every door during each two year cycle. The voters who are home get to actually meet their state rep. This is rare behavior, and the voters in his district appreciate it and keep electing him. He just announced for Congress. Until the dust settles on the new redistricting and whatever other candidates jump in or leave, it would be premature for Greg to abandon his state rep seat. There was never any chance of Greg having a single primary challenger, let alone multiple challengers. There may be a few Dems who would like Greg to retire, so they could have the gig. But none of whom would have shot ousting Greg, because the constituents are happy. 1) You don’t have to live in a Congressional district to run. 2) Even if Greg’s not in the 7th, he could be in the 6th, or something else. But, he will belong to some district. 3) If there is a fair redistricting, whatever new district Greg is a part of would be much more winnable for a Dem than his existing 7th district. Commissioner Larry Holmes was actively trying to get a primary campaign together to challenge Vitali. A lot of people have been laughing behind his back for the past few months about that. The consensus is that he’s delusional. Now that the seat is open, Holmes may have to compete with one of his own constituents who is probably more popular than he is (Jen Leith). I think there are a few other elected officials and deep-pocketed folks in the 166th who have been ready to step into a Vitali vacuum, so this could be a battle royale. If Commissioner Larry Holmes runs for the seat, there is no way he’ll win. He is not the one the party wants. He was ready to get in the race and challenge Vitali, which the party advised him not to do. Now he is trying to make it right. Too late Larry go back to actually pretending to work for your constituents, they don’t know you!! I’ve never had a problem with Larry when I was in Haverford. I know he has his detractors, but that may well be competitive jealousy and jousting for political position. As for a primary against Vitali, that’s tough, because Vitali knocks every door, every cycle. The voters like that. So, Greg’s been pretty safe from a challenge by Larry or anyone else. The seat is gerrymandered to 1.41 to 1 (D vs R) because the R’s got tired of losing despite an R registration edge, and decided to move their R’s into surrounding districts. Given the Dem advantage, there could be a lot of candidates in an open primary. However, the district might not be as favorable in it’s next configuration, so any victory might be short lived. If it’s an open seat: VoterWeb is available for $250/cycle for the Dem challengers (and discounted to $195 for female candidates due to 78-cents-on-the-dollar promotion). How do you enter a race in a district that doesn’t exist? Is Rep. Vitali going to seek re-election to the State House at the same time he seeks his party’s nomination for Congress? rumor has it he is running for this seat as an out because he is going to be primaried by multiple unhappy constituents for his state rep seat. It’s already been reported by Dave Davies that Vitali is not going to run for re-election to the State House at the same time. Vitali reportedly explored and ruled out Congressional runs in 2010 and 2012, so it makes sense he would try now, given recent events with Meehan, the weak Dem primary field, and the court ruling on gerrymandering. As far as I can tell, Vitali is neither rich nor bad on women’s issues. i loved greg until he opened at the science march thanking the wives of all the scientists for letting them be there. speaks volumes. he owes every little girl there an apology, including my daughter. she almost cried. That sounds like one unfortunate comment in a long record of being a progressive champion. I wasn’t there, so I don’t know the context, but I’d bet he doesn’t even realize how fucked up that sounds and would (AND SHOULD) apologize if confronted about it. Oh, great. Another goober in this race. When are Dems going get serious with this race and find a worthy candidate?